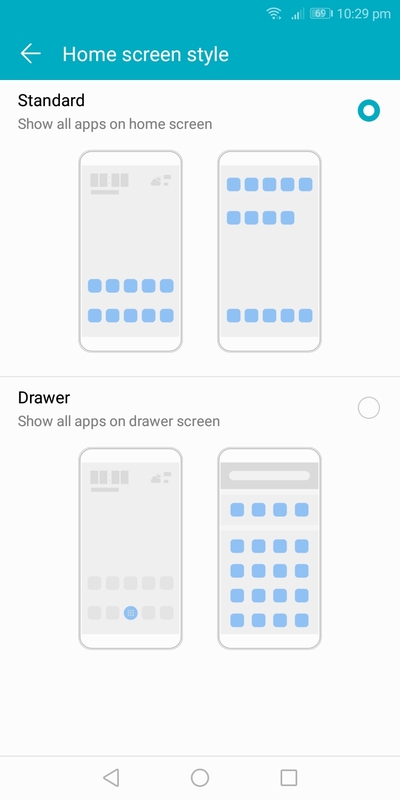 How to Enable App Drawer? How To enable Full-Screen Display for Apps? How to Change Text Size or Style? How to enable Eye Comfort? Go to Settings- Display- Select Eye Comfort with this screen will have a yellowish tint. How to Disable or Enable Google Feed? Multi-window feature- Press and hold the multi-tasking button. The dual windows pop up. You can adjust the screen size of both windows too. How to Display network speed? Go to Settings- Apps & Notifications-Navigation & Status bar -Select Battery Percentage- It will ask to choose Do Not Show, Next to Icon, In Icon. Fingerprint Scanner Gestures on Honor 7C? Take Photo/ Video, Answer Call, Stop Alarm, Swipe On fingerprint Scanner to Show Notification panel, Browse Photos. Go to Settings - Settings & privacy - Select App Lock or File Safe- You need to password then select App which needs to locked or File which need to be saved. Go to Settings -Smart Assistance- Motion Control which let you Double touch to turn off or On / Flip The Phone to Mute Incoming Calls and Alarms. 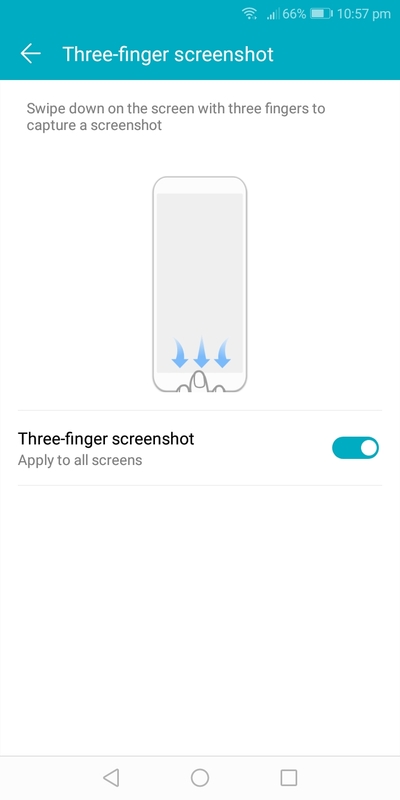 Three Fingerprint Screenshot. How to enable One-hand UI- Go to Settings- Smart assistance- One hand UI. This shrinks and shifts the screen to one side and helps you reach all parts of the screen with the thumb. The Honor 7C comes with a Wi-Fi bridge feature. It helps to share the Wi-Fi connection with more devices. This comes to use when you want to share the Wi-Fi as a repeater, or are allowed to use only one device in the Hotel Wi-Fi connection. To use this feature, you will have to be connected to an active Wi-Fi network. go to Settings and under the first network settings, tap on More. In the same “Tethering & portable hotspot” section, you will find the Wi-Fi bridge option. Activate it, and you can configure it to have an SSID and Password. A total of four devices can be connected to this. 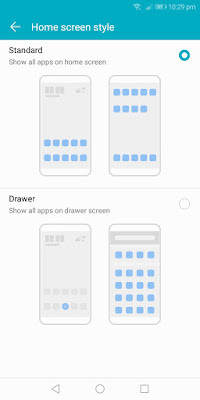 Change Home screen style: You can choose to have the standard home screen style where multiple home screens with widgets, apps, and wallpaper are seen, or a simple one with large icons for important apps, and nothing else. Setting up wallpaper: To set up a wallpaper, just long press on any empty space on the home screen and there will be an option of Wallpaper, where it would first open the list of pre-loaded wallpapers, and an option of going to the Gallery and selecting an image to crop and set it as the wallpaper.